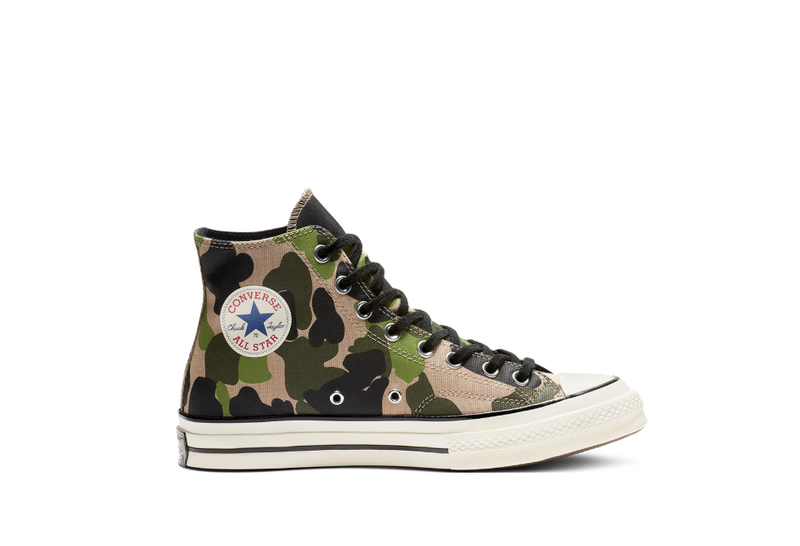 I got my first pair of Converse for my 13th birthday. They were light purple (the official colour name was 'grape') and we had to travel by hovercraft to get them (I grew up on the Isle of Wight, and the closest shop that sold them was in Portsmouth). It’s no exaggeration to say that these trainers have shaped my personal style, even to this day; I loved them so much that I still have them, although they are now a size too small for me to wear. 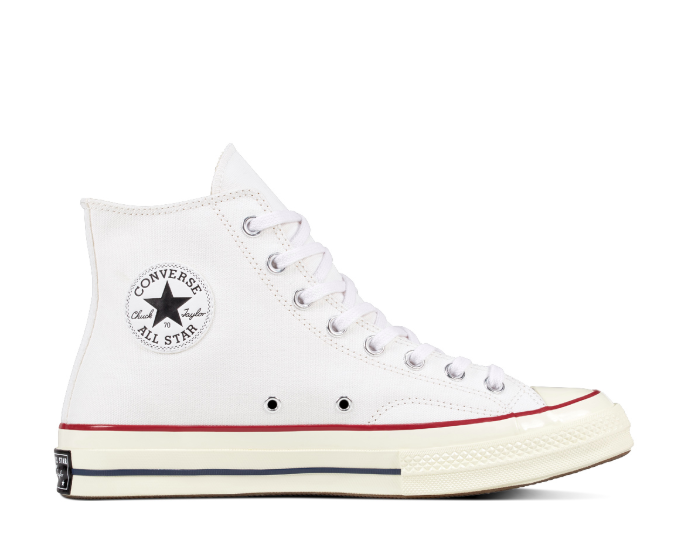 There’s something eternally cool about a pair of Converse Chuck Taylor All Stars. Worn by everyone from actual basketball players to musicians including Kurt Cobain, Rihanna and Paul McCartney. They suit literally everyone, but even better, they suit every trend going, too. Such a classic design works brilliantly with a minimalist’s wardrobe – I’ve always thought they look great with tailored trouser suits – but equally, their simplicity lends itself to the bright colours and prints preferred by someone with more of a peacock style. They can even take a designer collaboration or two; my personal favourites are the recent chunky soled versions from JW Anderson. So how should you wear them this season? Here are three of the most current options as worn by some of the hottest movers and shakers in the creative industry. Humble and artisanal fabrics - crochet in particular - is a huge trend that has trickled down from the catwalks for this summer. 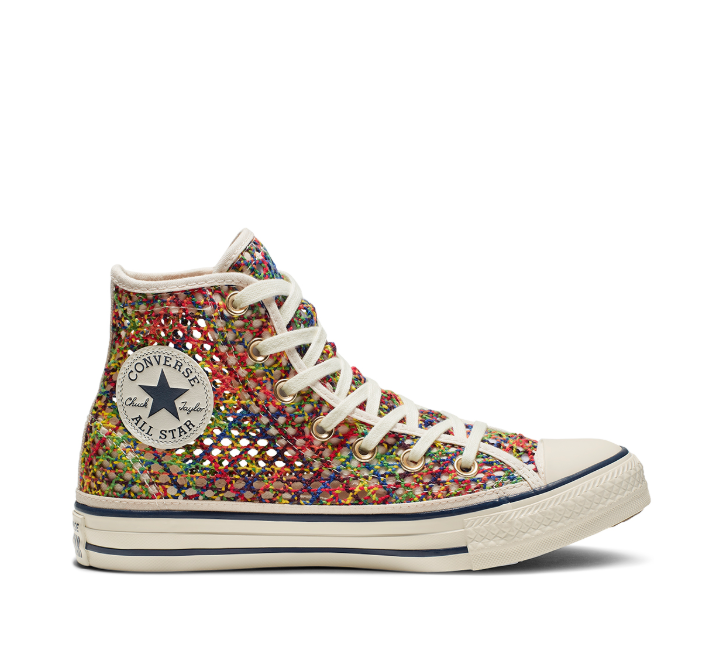 This versatile fabric looks as brilliant when woven in bright rainbow colours as it does in natural beige or cream, so it will fit your aesthetic whether you are a sartorial minimalist or a wardrobe extravert, like me.And, since it’s not always the easiest thing to wear on your body, what better place to wear crochet this season than on your feet? 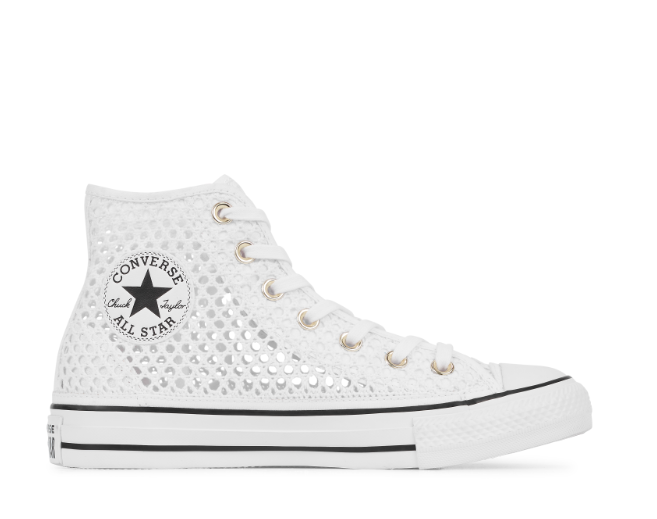 Converse’s new Crochet Chuck Taylors are ideal, especially for summer; there’s nothing worse than sweaty feet and that light, aerated material will let your them breathe, while keeping that cool sneakers look you love so much intact. I’ll be wearing mine at festivals with long summer dresses and a straw bag. If you’ve been on the high street recently, it won’t have escaped your notice that animal print is big news right now (yes, I know it always is, but it’s even more popular than usual). But if top-to-toe safari vibes aren’t your thing, the easiest place to introduce it is on your feet. 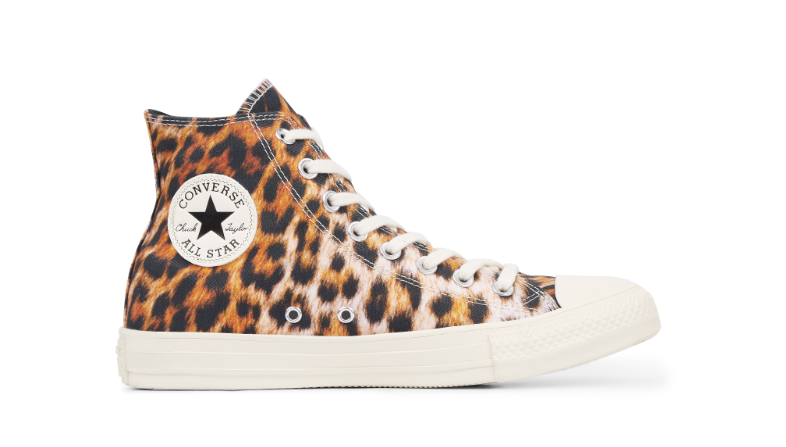 It means you can tone down the rest of your outfit and still feel like you, while nodding to the trend in a subtle way.Luckily, Converse has all bases covered, with snake, zebra and cheetah all adorning its classic styles for summer 2019. 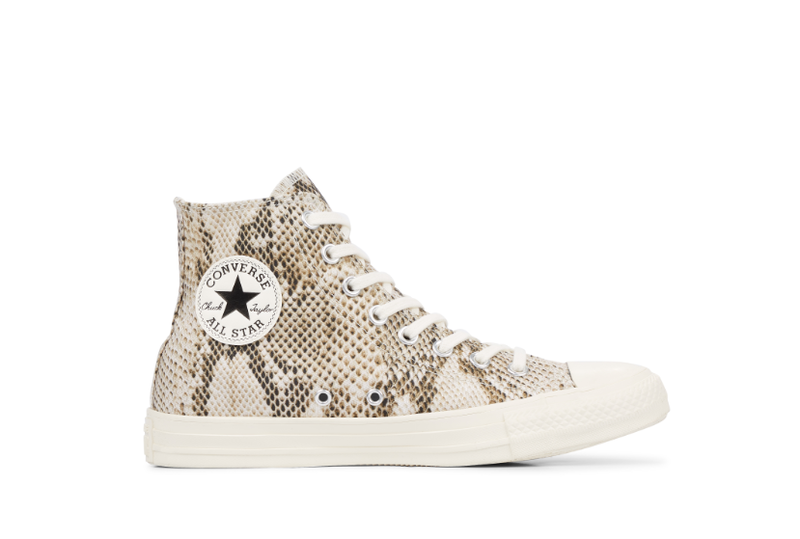 They are a brilliant way of pepping up a simple look, like a khaki jumpsuit or jeans and a simple tee. If you fancy clashing your patterns, avoid another animal print and look instead to spots or stripes, because let’s face it, leopard and Breton are basically neutrals anyway. 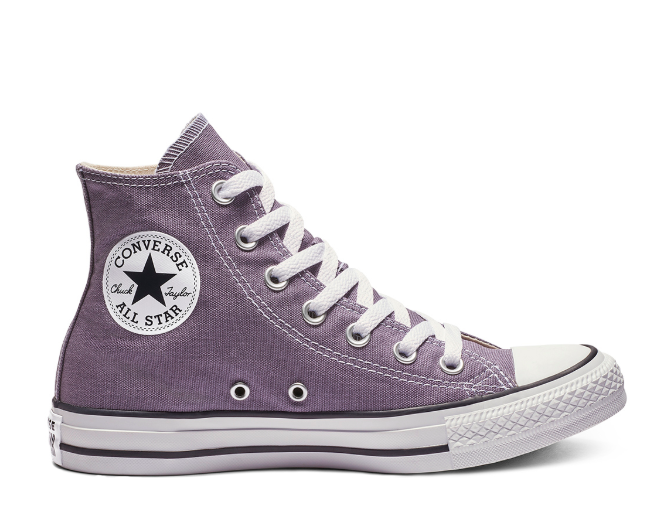 My favourite colours when I got that first pair of Converse – purple and yellow – remain a big draw for me, and just so happen to be bang on trend this season, too. Lavender, lilac and dusky pink are the perfect backdrop for a pop of sunny lemon, so try purple trousers with sunflower sneakers, or vice versa. Or opt for a tonal look throughout your outfit, with slightly different shades of the same colour. 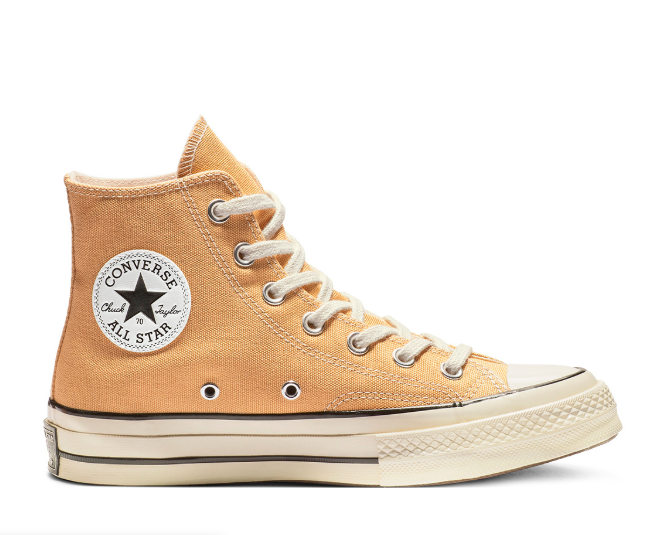 I’m particularly taken with Converse's new Seasonal Colour collection this season. I love the sporty band at the back of the ankle that looks a bit like a sweatband (these were actually inspired by retro athletic socks), and the fuzzy felt upper in place of traditional canvas feels as good as it looks. 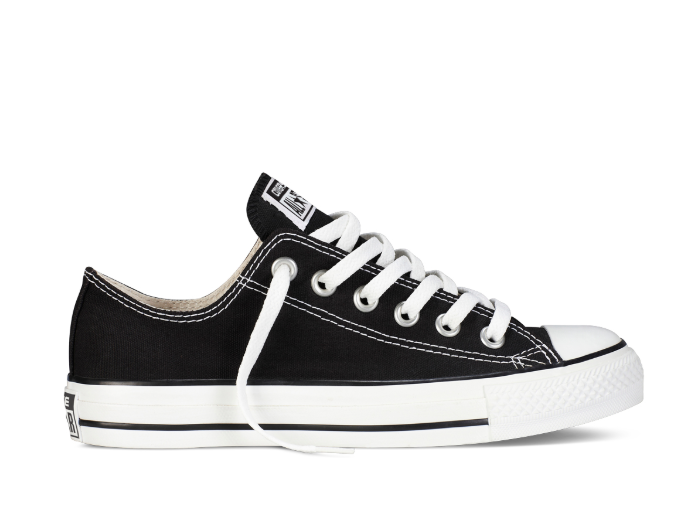 Simple black or white will always be the most rock 'n' roll way to wear your Cons; pretty much everyone who’s ever picked up a guitar has been spotted with a pair of these on their feet, from Elvis to Gwen Stefani. 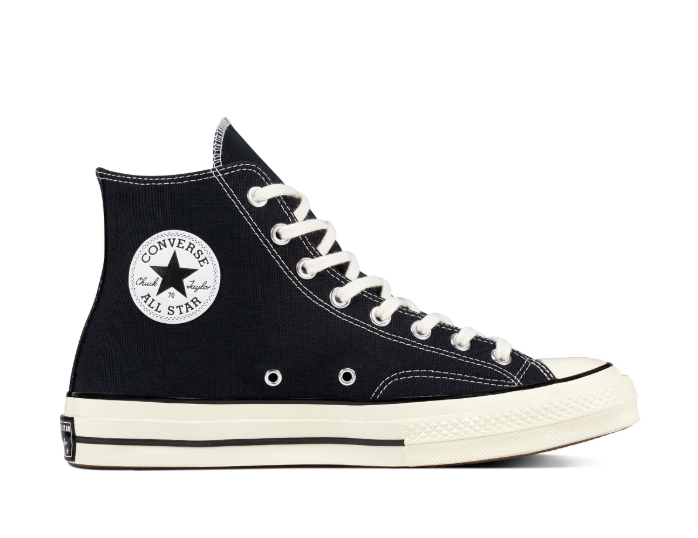 Their appeal lies in their simplicity, because nothing looks better with skinny jeans and a leather biker jacket than a pair of black or white All Stars. They’re also the ideal partner for whatever print takes your fancy: camouflage, florals, tartan or gingham. 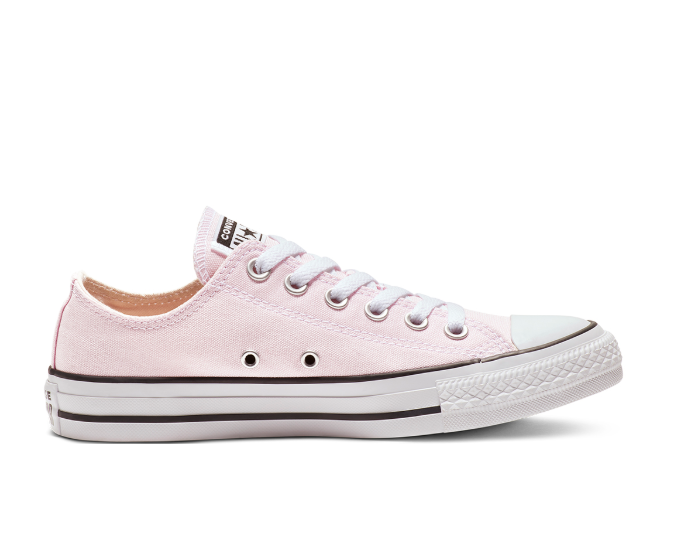 This season, Converse's 'Lift' range takes the All Star quite literally to a new level; with its chunky flatform sole it will give you a bit of extra height without having to resort to heels or a wedge. Pick a white pair, and they’re perfect to wear with either this season’s trend for oversized prairie dresses, or teamed with camo trousers à la the Yarza Twins. 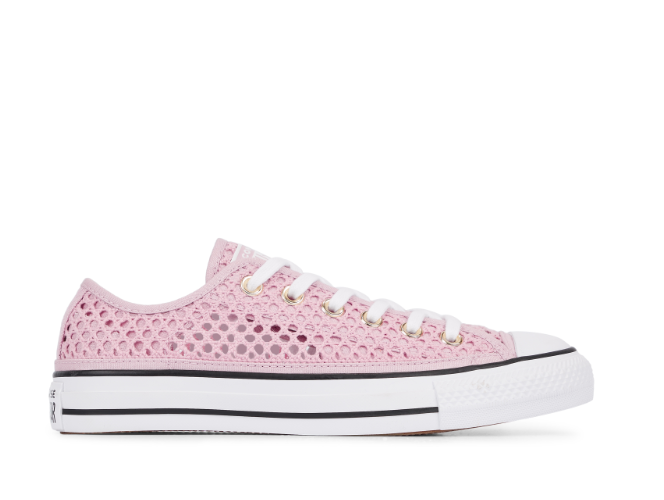 Nothing says cool girl quite like these kicks.